Ride effortlessly with the new stylish Spectra skateboard from Walnut Tech. Being more than just a skateboard, the Spectra is the smallest and lightest portable powered vehicle on the market. This board is a fully automated way of transportation and fun that operates like a Segway or Hoverboard. 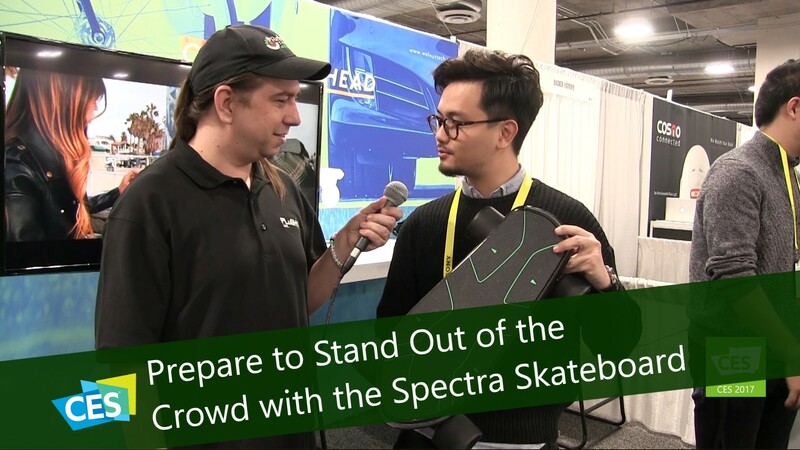 No need to be a pro skater because the Spectra is built for any experience level. It is safe and easy to learn in under 10 minutes. It will stop moving if you step off of it to be safe for both the rider and the board. You could also drive in your own style with LED display and customizable deck. The price of the Spectra will range from $500 to $900 and will be available for purchase from the company’s website. Keep an eye out for them on Kickstarter later this year.